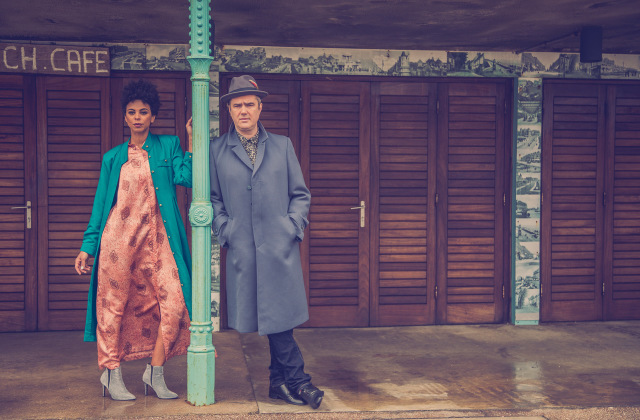 M(usic) F(or) Robots were formed in 2016 by Brand New Heavies co-founder, drummer and main songwriter Jan Kincaid and his ‘Heavy’ fellow, vocalist Dawn Joseph, who has sung backing vocals for everyone from Rod Stewart to Phil Collins to Craig David. Two single releases later, the concept proves to be highly successful: A ten out of ten review for The Night is calling in Mixmag magazine, several performances on BBC radio as well as headliner stages at some of the biggest international festivals in summer (Black Sea Festival in Georgia and Umeá Festival in Sweden to name but a few) speak for themselves. Their debut album will be out in spring 2018.